Money, money, money... 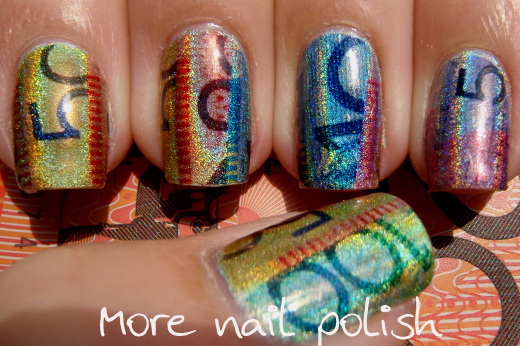 Continuing my week long feature on all things Australian, I share with you my Australian money mani. I felt so stinkin rich wearing these nails! 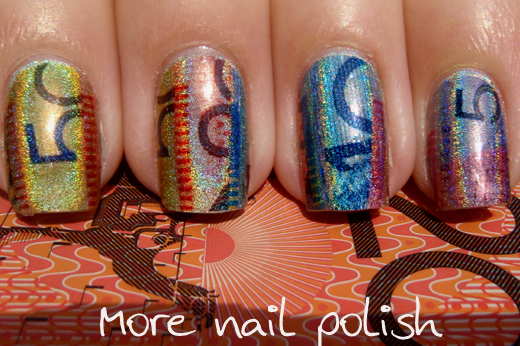 Australian money is the perfect design to wear as temporary tattoo designs on your nails because the colours are so vivid and gorgeous. For this mani I put on a couple of coats of Nfu Oh 66 (the light green holo). Then I just applied my made at home temporary tattoos. Easy peasy and all finished in under 30 minutes. For any of my new followers, I did a photo tutorial on temporary tattoo paper last year. See what I mean, isn't Australian money just the prettiest money in the whole world! Plus it's made of polymer (plastic) so it can go through the wash and still be fine. 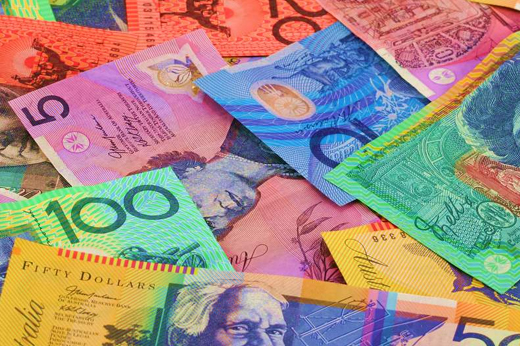 And your useless bit of Australian trivia for the night... did you know that Australia was the first country to get plastic bank notes way back in 1988! Get the InLinkz code here to add to your blog. Wow, that is really gorgeous! 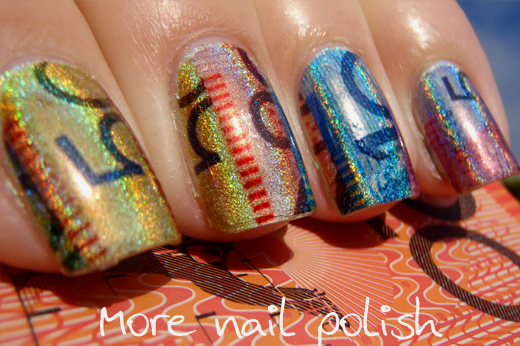 Our Swedish money is so much duller, it would really not be even close to as nice for nail art. Wow! Australian money is gorgeous! American money is the most boring in the world, haha! These turned out really, really well. 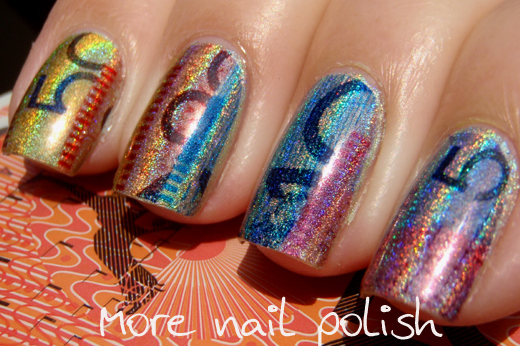 Definitely one of the coolest nail designs I've ever seen. 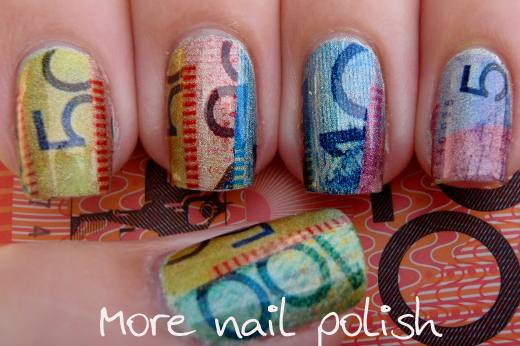 Wow Australian money is so cool! I had no idea it was plastic-y, but that's a great idea. Wow, that is really gorgeous and cool!